With our personal news being out in the open I couldn’t help myself sharing a sneak peak of our future baby’s room. We are nowhere near finished but we’ve made some first steps and I wanted to tell you about it. On one hand we can’t wait to meet our little bébé but we’re also very much looking forward to creating a lovely room and taking our time. As usual I had a pretty clear image of what I wanted in this room. 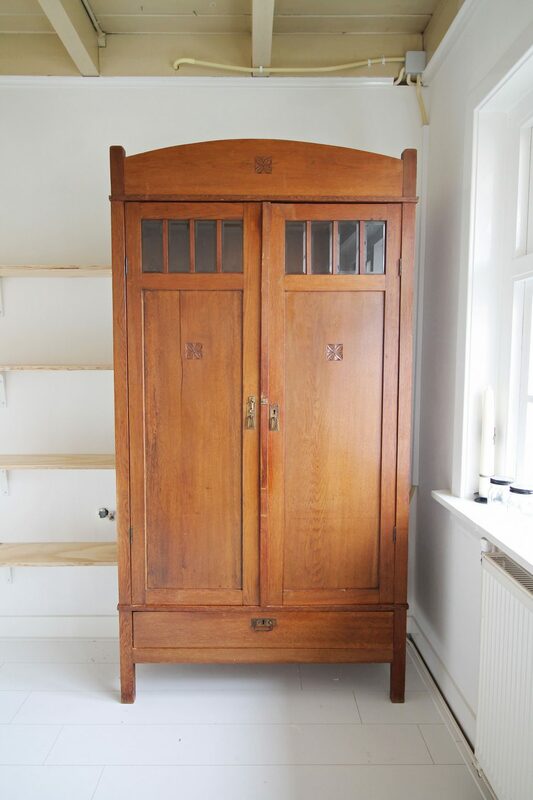 I don’t know the whole picture yet, but I did know that I wanted an old wardrobe that we could paint. I felt it would add a lot of personality to this room. So I went to the thriftshop and saw this beauty standing there, waiting for me to be bought. I am so happy! We’re going to paint it a greyish green (like in our bedroom). The small children’s chair is by Panton and available via MisterDesign.nl. 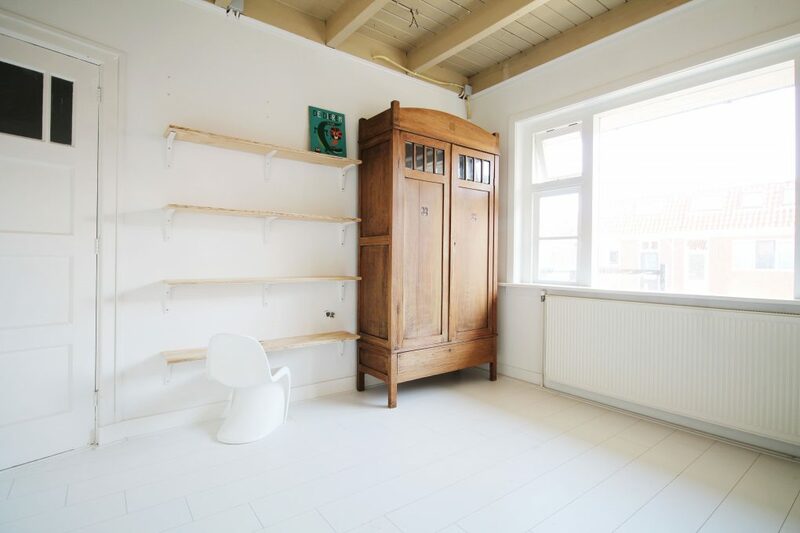 As you can see in this blogpost we shortened the bookshelves so we can use them in this room as well. We will paint them as well to make them child friendly :) I’m guessing it will be used as a display for books and toys and I just love the cute chair with it. Hope you liked this first sneak peak, will definitely share more in the future!